You’ll be able to see one of my yarns in Lexi’s new book, along with a photograph I took of her and Owen Poad at Maryland Sheep and Wool. I’m just thrilled!! So I won’t tell what kind of yarn.. you’ll have to see the book!! Lexi’s new book is coming out in the fall. To celebrate, we are going to have a triad workshop!! We will have a trunk show (with my yarns and fibers, along with some of Lexi’s yarns) and a book signing on Friday night, Jan 27, 2012 from 6:30-9:30. Come for some snacks and bring some knitting or spinning and hang out. Our workshop will be Sat and Sun, Jan 28-29 2012, from 10-5 each day. Both events will be held at DownTown Knits in Apex NC. I’m excited!! We’re going to have a great time! 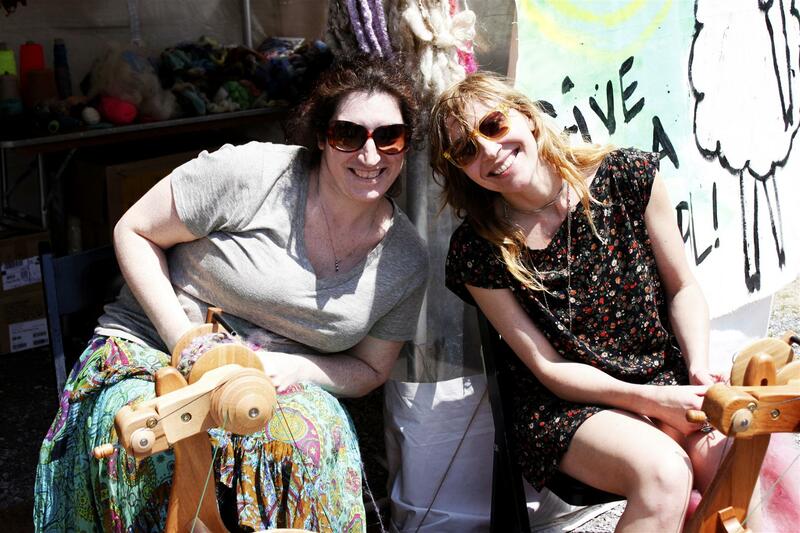 It’ll be a weekend of creative spinning and carding! I hope you can join us!! Registration begins Oct 27. You can email me at jazzturtlecreations@gmail.com or pluckyfluff@gmail.com to get on a waiting list to be notified when enrollment opens. Spaces are limited to 16. Workshop is $225- but is “Pay what you Can” This means that if you can’t pay the entire amount, but you can bring a supplement (fiber to share, snacks to bring…) you can do so (but must email Lexi before you pay what you can) Please know, however, that because this is a class with limited space, class spots will be given priority by enrollment payments. ← How I do it- Solar Dyeing with Summer Heat!